Investing.com – Oil prices edged lower on Monday, after the U.S. said it may grant waivers to sanctions against Iran’s crude exports next month, and as Saudi Arabia was said to be replacing any potential shortfall from Iran. November , the U.S. benchmark contract, shed 23 cents, or around 0.3%, to $74.11 a barrel at 10:00AM ET on the New York Mercantile Exchange. Meanwhile, international benchmark futures were at $83.75 a barrel on ICE Futures Europe, down 41 cents, or about 0.5%. The sanctions are being reinstated after U.S. President Donald Trump pulled out of the Iran nuclear deal earlier this year. However, a U.S. government official said on Friday that the country for nations that have already shown efforts to reduce their imports of Iranian oil. 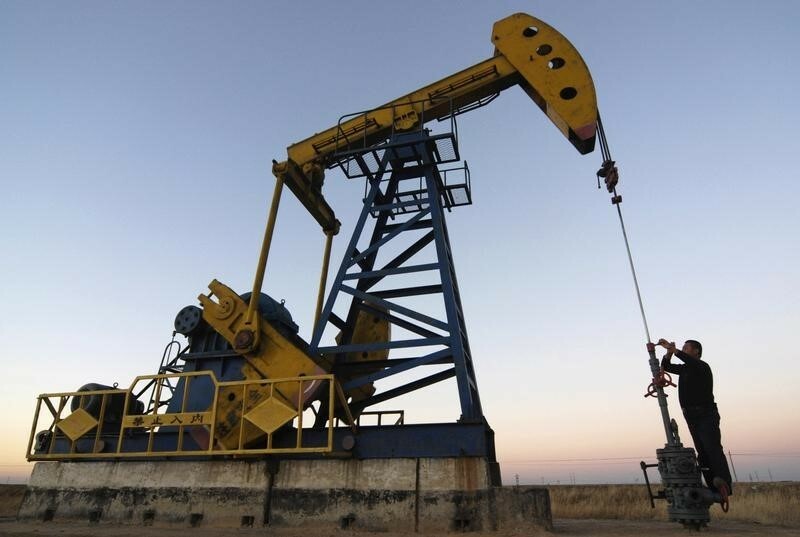 Iran is the third-biggest producer in the Organization of the Petroleum Exporting Countries (OPEC), supplying around 2.5 million barrels per day (bpd) of crude and condensate to markets this year, equivalent to around 2.5% of global consumption. Prices also eased after Saudi Arabia said it would to at least partly make up for expected disruptions from Iran. Saudi Arabia is the world’s top oil exporter and OPEC’s de-facto leader. Looking ahead, market players will also focus on monthly reports from OPEC and the International Energy Agency (IEA) this week to assess global oil supply and demand levels. Fresh weekly data on U.S. commercial crude inventories – which come out one day later than usual due to Monday’s Columbus Day holiday – will also capture the market’s attention.